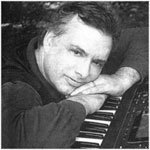 Fritz Heede, Los Angeles based composer, has been pioneering world/electronic music for more than 25 years. His has scored Emmy winning network Specials, feature films and documentaries. Always with an ear to current music trends his music vocabulary is rooted in the classics as well as world and ancient music. His strong interests in science, philosophy and metaphysics can be felt in the sonic fabric of his compositions. Fritz is an eclectic musician who is an adept player of instruments such as the flamenco guitar, Turkish saz, Indian sitar, piano, electronic keyboards, world percussion, hammered dulcimer and the electric guitar. In "Illuminated Manuscripts" he has brought together a dazzling group of musicians including an Arabic violinist, doudouk player, world percussionist and harmonic toners, creating a rich tapestry of sound. Mystical and evocative ... embracing the ancient in a modern context. Fritz’s work is also featured on the Harmony Channel MoodZone ideas for the Spirit Zone and the Harmony Zone. Tell us little about your collaboration with John Banks. Fritz: I always had a strong interest in metaphysics and a keen desire to know first hand the magical essence behind natureand the cosmos. So when I first saw some of John Banks' work I felt an instant kinship with his artistry. You are very skilled at musically interpreting John’s visuals. Tell us more about this process. Fritz: I do have a sense of music sympathy for visuals and have developed over the years a musical vocabulary that corresponds to color and form. For example, the color blue can translate into the sound of a flute as it is an "airy" instrument that I associate with a blue sky. In the case of these animated works there is the addition of time, hence tempo or pulse. In the case of these animated works there is the addition of time, hence tempo or pulse. Do you actually “hear” the visual piece in your mind? Fritz: I do indeed hear John's visuals in my imagination. I then proceed to bring it forth using either a real instrument or a sampling keyboard to start solidifying my impressions... always seeking a vibration match. The challenge is to not let the visuals "rule" me, but to find a complimentary musical structure that will stand on it's own. Once I feel that I have it, I focus on the music to flesh it out with real organic instruments that offer much more articulation and expression than the original synthesis. Though, electronics still play a very integral part in my music as it offers sounds and textures not found in nature, thereby increasing the palette as well as giving me a fuller sound. Technology has enabled John and I to collaborate seamlessly despite us living a thousand miles apart.